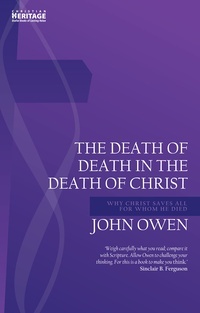 Death of Death in the Death of Christ was John Owen’s first masterpiece. Written from seven years of studying and reflection by one of the greatest minds in theological history, its exploration into the Scriptural perspective on the doctrine of universal redemption is yet to be answered or paralleled. This is the original text with a new layout. It is fully subtitled which makes it more accessible to a new generation of readers.